For Cyberlink PowerDirector users, once you have finished editing your video production, you can upload it to social networking web sites for sharing with more audience. The following article will share 2 different ways to upload PowerDirector file to YouTube. 1. Click on Produce and then select the YouTube tab. 2. Enter your account information to log in to YouTube. 3. Select the profile type from the drop down menu. If you want your video to display in the HD or high quality, select one of those options. 4. Enter a title make a brief description about the video, and then add some search tags. 5. Select a video category and then whether to make it public or not. 6. Click Start to begin producing the video. The video is uploaded to your YouTube account once it is produced. 4. Once you’ve verified your account, you can upload videos that are longer than 15 minutes long. Here, with our program, you can not only convert PowerDirector file to YouTube best compatible H.264 High Profile MP4 video and AAC audio formats. But also get YouTube best compatible uploading settings by flexibly adjust output profile settings including video codec, resolution, bit rate, frame rate, audio codec, bit rate, sample rate, channels, etc in the program’s “Profile Settings” window. 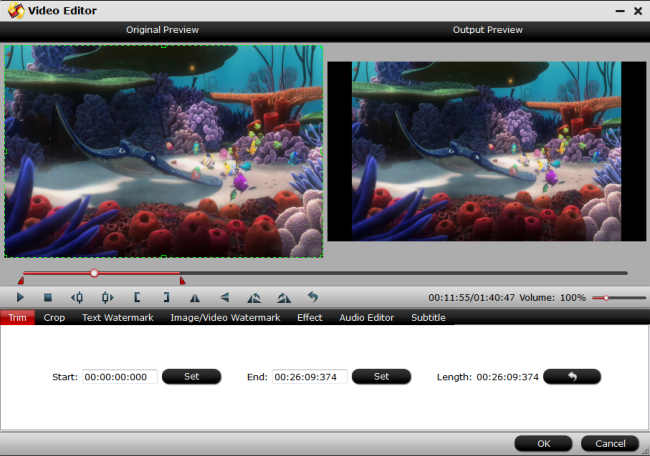 If your PowerDirector file is longer than 15 minutes, you can shorten the video length with the trim function to cut off unwanted parts in the video. If your PowerDirector file size is large than 128GB, you can compress the file by lowering output video resolution, bit rate or frame rate. If the PowerDirector file is using an aspect ratio that doesn’t adapt with YouTube, you can change output video aspect ratio to 16:9 with the “Crop” function in the video editing window. For Mac users, you can switch to download Pavtube Video Converter for Mac to produce YouTube best uploading settings from PowerDirector file on macOS High Sierra, macOS Sierra, Mac OS X El Capitan, Mac OS X Yosemite, etc. Step 1: Add PowerDirector files. Install and run PowerDirector file to YouTube Converter. You can simply drag and drop the PowerDirector file one by one to this YouTube converter. Or import the PowerDirector files through “File” > “Add Video/Audio”. Step 2: Choose YouTube best supported video format. Scroll down the “Format” drop-down options, select YouTube best compatible uploading settings “H.264 High Profile Video(*.mp4)” under “Common Video” main category. Tips: Click “Settings” on the main interface to open “Profile Settings” window, here, you can flexibly adjust the output profile parameters including video codec, resolution, bit rate, frame rate, audio codec, bit rate, sample rate, channels, etc to let them fit with YouTube best uploading settings listed above. Step 3: Trim/Compress/Adjust output video aspect ratio. Click “Settings” to open “Profile Settings” window to lower output video resolution, bit rate or frame rate or split large video into small parts by file size, count or length. Go the “Crop” tab in the “Video Editor” Window, switch to the “Advanced Mode”. To change output video aspect ratio, there are several aspect ratios for you to choose from, including 16:10, 16:9, 5:4, 4:3, 3:2, and 2:1, you can choose YouTube accepted aspect ratio 16:9. Once you select a “Display aspect ratio”, the “green crop frame” will keep this ratio to crop video and you are able to preview the final effect in real time. If you want to keep the same aspect ratio in your final output files, do remember to set the Video “Size (pix)” in “Settings” section as the same ratio as display aspect ratio. Start PowerDirector file to YouTube best upload format, settings, video length, file size, aspect ratio conversion process by hitting the right bottom convert button. When the conversion is over, you can then get the best uploading settings when sharing PowerDirector file on YouTube. Upload 4K Video to YouTube with Best Settings?